Deposit of 20.00 $ non-refundable, but transferable for another stay in the same year, if canceled 4 days before the date of the reservation. A bonus service that is not part of the campground but is located right next to the property. 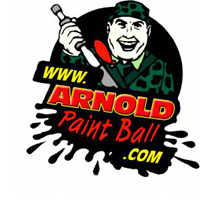 Visit their website www.arnoldpaintball.com to find out when the next event will take place.